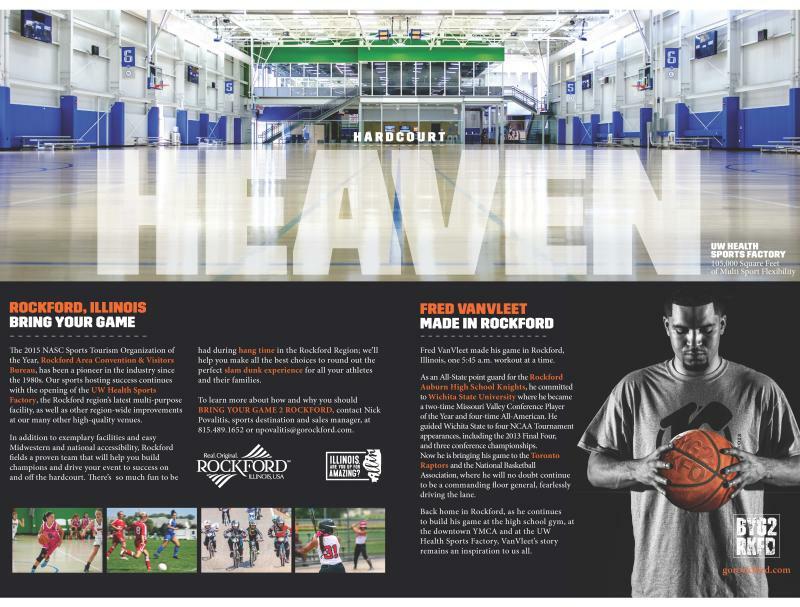 Bring Your Game 2 Rockford (BYG2RKFD) is more than a sports tourism campaign; it tells an ongoing story that represents and speaks to the residents of and visitors to the Rockford region. It’s about showcasing our community and elevating the playing field in our desire to be a top-flight community. It’s about Raising Our Game collectively. And, while the Rockford Area Convention & Visitors Bureau formally announced the comprehensive BYG2RKFD campaign in the latter part of 2016, its impact is already significant. With the release of the 2017 Sports Planning Guide and an RACVB sales mission to New York City for the 2016 Momentum Sports Marketing Symposium, the campaign’s soft launch generated immediate organic ad value and response from local and national media outlets. Coupled with this launch, the RACVB recently announced three “Raising our Game” tournaments to be held for the first time in the Rockford region in 2017, highlighted by the two largest youth soccer tournaments ever to be held here (the Elite Clubs National Playoffs and the Premier SuperCopa). Check out this video from the BYG2RKFD branded Fred VanVleet All-Stary Party that was held at the District Bar & Grill on Feb. 19, 2017. The party raised funds for local youth sports while showcasing local music talent and celebrating the future of sports tourism in Rockford. BYG2RKFD isn’t just about sports tourism, it is also about economic development and reputation building for the entire region. In addition to VanVleet, Arachnid 360—the Loves Park, Ill., based global leader in soft-tip dart boards—agreed to opt in by attending the BYG2RKFD announcement and joining GoRockford in activating at the 2016 U.S. Sports Congress in Fort Myers, FL. At that conference, Arachnid 360 outfitted the RACVB sponsored trade reception booth with two dart boards and an account executive to help spread the dart board producer’s role as an industry supplier, partner and international event owner through its Bullshooter Tour. The relationship continues with Arachnid and RACVB, as the two continue to bid for more regional and national tournaments. The sports success stories of VanVleet and Arachnid represent the hard work, quality and commitment to our process-first approach. RACVB is continuing this notion with more targeted sales and marketing efforts, including premium BYG2RKFD gifts delivered to more than 100 local, regional and national sports event and marketing partners in early 2017. From this strategic touchpoint, the first two site visits to Rockford have already been slated for February and March. The ROI will undoubtedly continue to trickle in through organic media value (already yielding over 2 million media impressions), and what GoRockford is already projecting as monumental championship event years in both 2017 and 2018. And our mentality remains: we are just scratching the surface of what we will accomplish. By extending BYG2RKFD into future years, our roadmap to continued ROI is threefold. The campaign will be a platform to establish new and build existing relationships with successful sports professionals; foster new sports marketing partnerships to support our organization’s role as a DMO; and continue our industry’s need to blend the mutual significance of locals and visitors. 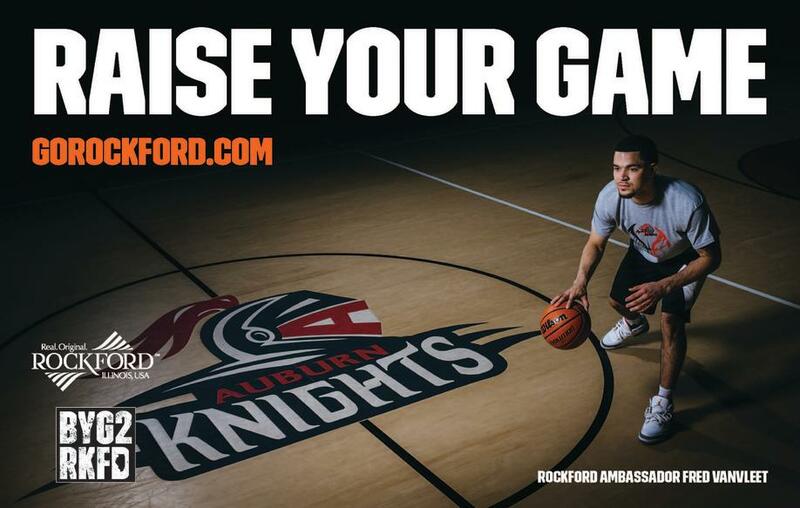 Three words from our rollout VanVleet storypiece in Sports Planning Guide may sum BYG2RKFD up most effectively: RAISE YOUR GAME.